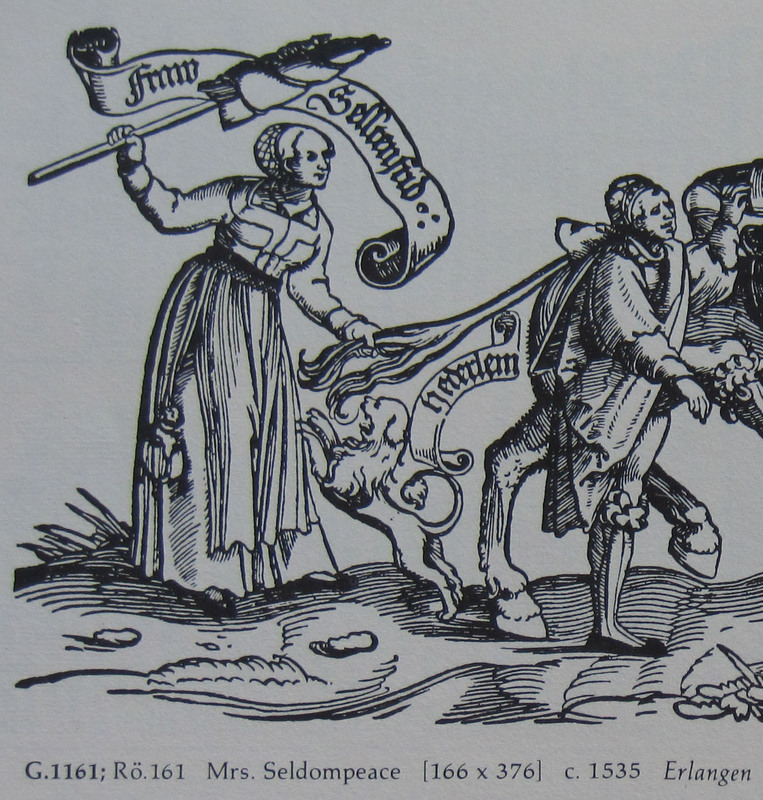 Baroness Esperanza’s dress is based on a 1535 woodcut from Erlangen. This dress is made in the exact same style as the peach-colored dress. The new items in this outfit are a headband & hair net and a gathered apron. 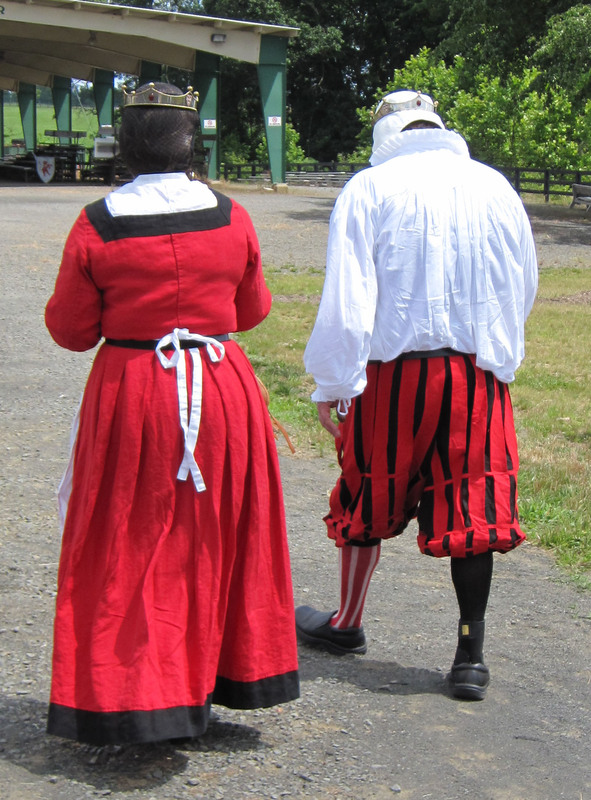 These outfits were made in the space of three weeks for their Baronial Investiture. 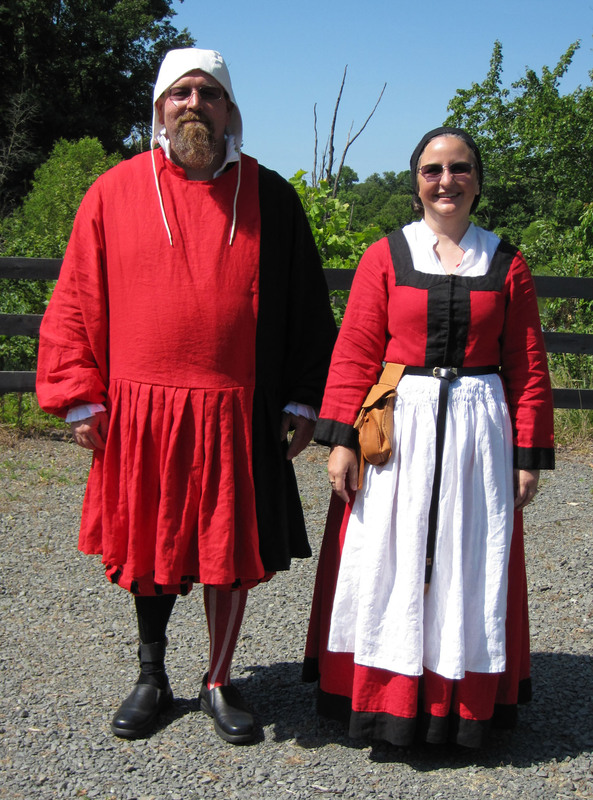 Baron Valgrad av Mors and Baroness Esperanza Suzanna Flecha. The Baron’s outfit by Genefe Wolflien. The Baroness’s outfit by Amie Sparrow. We bought the linen on Grayline linen. Under Esperanza’s dress, she is wearing a yellow linen petticoat and a white linen untergoller. These follow the same construction as shown in previous posts.